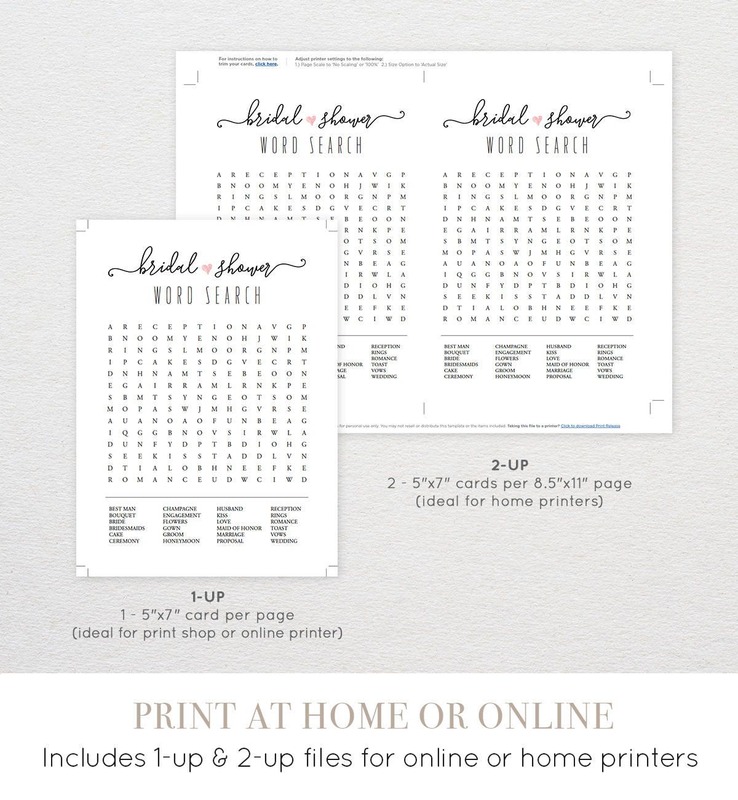 This listing is an "INSTANT DOWNLOAD" that includes a high resolution, printable Bridal Shower Word Search Game in a PDF format. A fun addition to a bridal shower. First person to find all the bridal-related words wins! 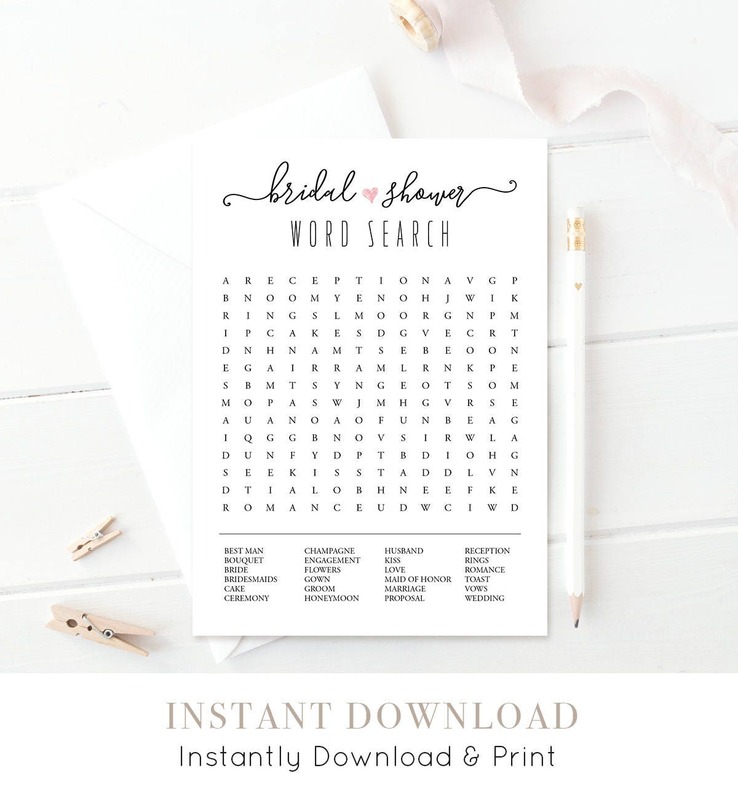 WORD SEARCH GAME CARD - Finished Size 5"x7"
• Background is white. For a rustic look, print on kraft paper.